Three of the famous Cello Suites by J.S. 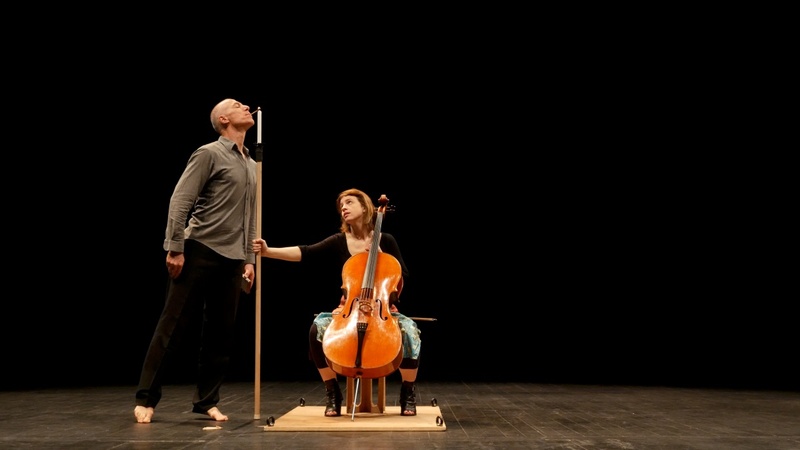 Bach played by the great artist Noémi Boutin, intertwined with the extraordinary juggling of Jörg Müller, an outstanding circus artist who reconciles pure physical performance with theater, dance and contemporary art. A triptych punctuated by the famous Suites of J.S. Bach, No. 1, 3, and 5, of which the cellist expresses all delicacy and infinite elegance. Her music is entwined around three live paintings interpreted by the circus artist, and dancer Jörg Müller. 25 May 2018: 19.00 hrs. 27 May 2018: 14.00 hrs.